The digital technology has thoroughly changed the sales and purchase decision-making and processes in the real estate business. A substantial amount of effort goes into planning, execution, optimization, and tracking of real estate sales and marketing initiatives. Despite all, few only truly succeed in tapping the opportunities. So there exists a mountainous challenge in front of realtors. And, when a realtor has to work in a highly advanced economy like Dallas, Texas, the challenge soars further. However, these challenges are a source of great inspiration for some to the like of Briggs Freeman. With a bid to tap the untapped 97.65% of the marketplace opportunities, it partnered with us to seek MLS web development solution. 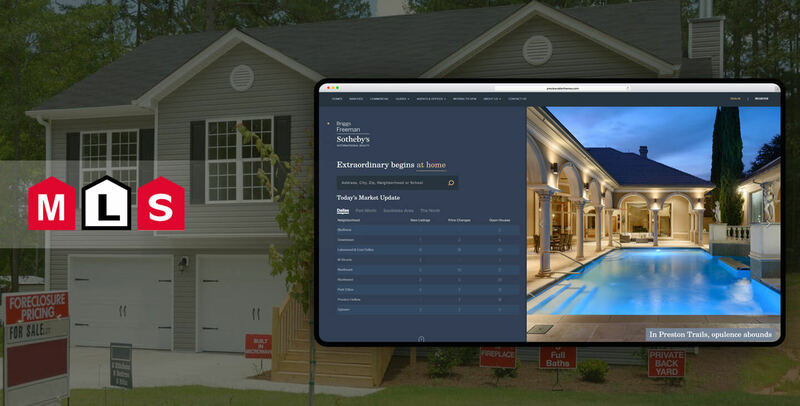 Provisioning a better data exchange on the Internet, an MLS website provides a level playground to realtors, agents, sellers, and buyers. Moreover, it brings transparency to the business and expedites the selling and buying processes. Here is how. An MLS-based website helps realtors to accumulate and disseminate information on real estate listings. This provides a greater visibility to the homes or properties they want to sell. All member agents or brokers who adopt a standard MLS can internally share the listing information and access those created by the rest of the community members. Hence, they can do a better appraisal of a listed property. How sellers get benefited? They are under no obligation to create listings on multiple websites. The moment they list their property on a single website it gets viral across all the real estate websites of the MLS members. A better exposure to the listed property helps them get a broad audience, which means more reasonable compensation. What does MLS website development mean to customers? They get an array of listings to browse and compare. So with more options, they can find their dream home or property at the best price. Which MLS Does the Website Have? Briggs Freeman is based on RETS (Real Estate Transaction Standard)-based MLS which has been accepted by the real estate associations in the US and Canada. The type of MLS systems varies from one market or region to others. Hence, MLS developers should take into account the operating territory of the business. Moreover, the emphasis should be on using a standard MLS, which is approved by the real estate association of the area. This will help you exchange listings with more realtors or brokers and cater to the needs of a bigger market.